With a client-focused real estate career in New York City spanning 18 years, Mary Bezirjian offers everything a buyer or seller could hope for, and then some. Real estate, for Mary, is about developing lasting relationships with her clients, always listening closely and taking time to understand their financials and goals, then expertly walking them through the process, from start to finish. Buyers and sellers alike greatly appreciate her extensive knowledge of the local marketplace, along with her warm manner and friendly approach. Much of her business comes from referrals from satisfied clients. Focusing on co-ops and condos, both sales and rentals, throughout Manhattan and Brooklyn, Mary’s expertise and empathy inspire a deep level of trust in her clients, who consistently feel confident that she is fully committed to their interests. “I always go the extra mile,” she says, driven by a passion for real estate and a love of New York City, its architecture and its history. A native New Yorker, Mary is a homeowner who lives in Greenwich Village and is a member of the Greenwich Village Society for Historic Preservation. 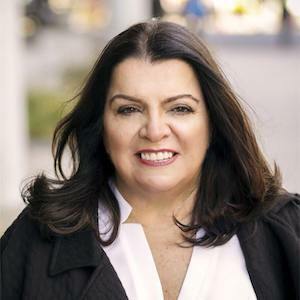 She is also active in the Real Estate Board of New York, which designated her a “New York Residential Specialist,” a prestigious title that highlights the achievements of the finest residential Representatives in the city. As someone who has a strong desire to give back to her community, Mary singlehandedly organized and ran a two-day fundraiser to honor NYC Firefighters and raised scholarship funds for the children of fallen firefighters. She is active in other charitable organizations as well.